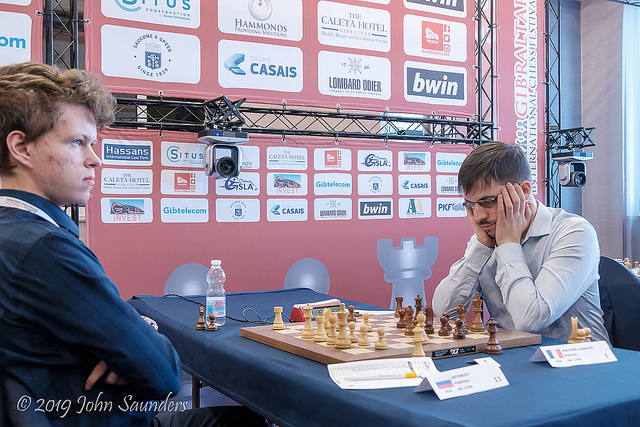 20-year-old Russian Vladislav Artemiev has been the star of the middle rounds of the Gibraltar Masters, inflicting Hikaru Nakamura’s first defeat in a decade on the rock and drawing against Levon Aronian and Maxime Vachier-Lagrave. 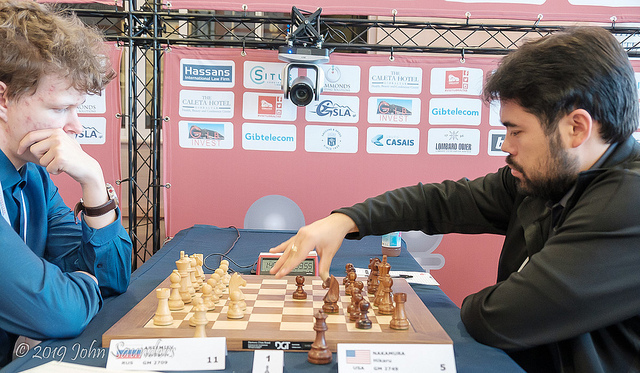 With two rounds to go he’s tied for first with David Navara and Kirill Alekseenko on 6.5/8, but Aronian, MVL and Nakamura are all lurking in the group of 12 players just half a point behind. The world’s youngest grandmaster, D Gukesh from India, claimed another grandmaster scalp, while 13-year-old Raunak Sadhwani has beaten three in a row! As you can see, the days of the underdog are largely over in Gibraltar. 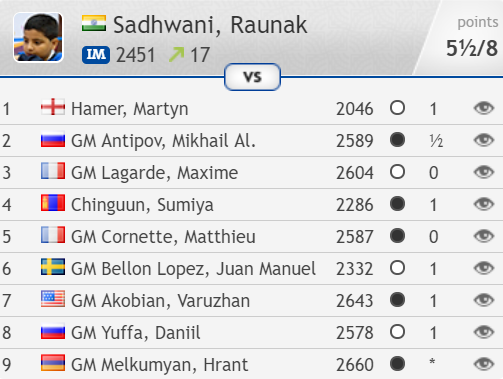 The top 15 feature nine 2700 players, four 2600s and only two 2500+ grandmasters - Lalith Babu and Kartikeyan Murali from India. 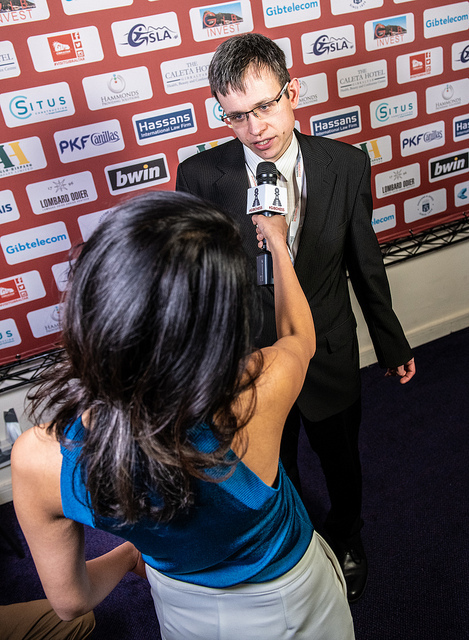 The giant-killing stars of our first report have faded, with Nigeria’s Kolade Onabogun losing 4 games in 5 at one point, while Iran’s Sarasadat Khadelmasharieh went on to draw Aronian and Adhiban but is now a point behind Ju Wenjun and Mariya Muzychuk in the women’s race. 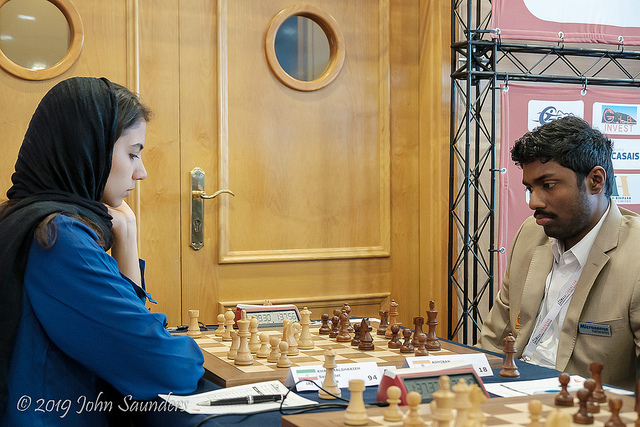 Her Round 8 loss to Spain’s talented young GM Jaime Santos was painful. Instead of 28.Qd4! and a probable draw she chose to try and cash in on the pin immediately: 28.e4?? Alas, 28…Qb6! was a very cold shower, with Black simply left a piece up. There are different ways to the top in an open tournament. 21-year-old Kirill Alekseenko started slowly with draws in Rounds 2 and 3, but has now hit the front after a run of three wins in a row, including outwitting Arkadij Naiditsch in a tactical melee in Round 8. The other two leaders got off to fast starts, with Czech no. 1 David Navara winning his first four games before drawing with Wesley So. Perhaps the most interesting player to follow, however, has been Vladislav Artemiev, the 20-year-old Russian who has already won countless rapid and blitz tournaments (rapid rating: 2784, blitz: 2828) but has been climbing the classical rating list slower than many expected. It’s to him (“Little Vlad”?) 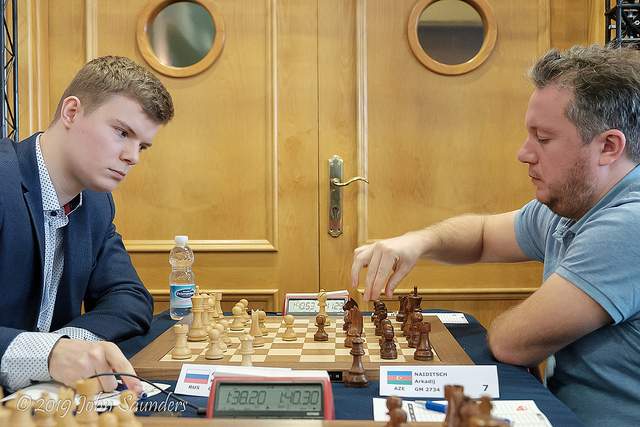 and the likes of 16-year-old Andrey Esipenko that Russia will now begin to turn after Vladimir Kramnik’s retirement, and in Gibraltar he’s climbed 16.2 rating points to 2725.2, challenging 19-year-old Wei Yi (2733) and 20-year-old Duda (2730.8) as the next young player hoping to enter the elite. 20 is no longer so young in modern chess, and this generation will be hoping to make their mark before the teenage Uzbek, Iranian and above all Indian stars begin to break into the 2700 club. 27.Be3?? was based on the hope that after 27…gxh4 28.Qxe4 Rxe4 29.Rc8+ Bf8 30.Bh6 White gives mate. Expecting a player like Artemiev to have blundered something so basic was optimistic, however, and in fact 30…Qxa3! is a simple defence that wins the game. Jumabayev had spotted that by move 28 and resigned. 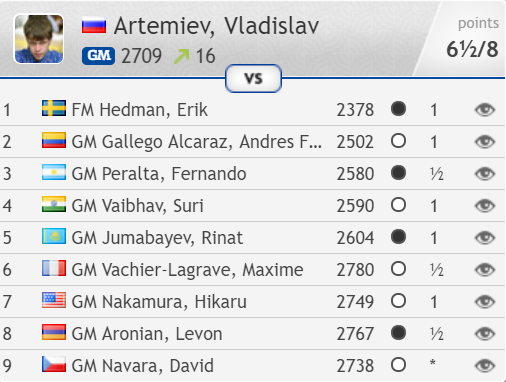 That game left Artemiev as the co-leader with Navara on 4.5/5, and normally they would have played each other in Round 6, but since Navara decided to take a half-point bye Artemiev began surely the greatest test of his career so far – playing MVL, Nakamura and Aronian in consecutive rounds. He came through in flying colours, scoring solid draws against Maxime and Levon and scoring a landmark victory over Hikaru. Nakamura admitted that 16.Nd2! Be5 17.Nxe4 Bxa1 18.Nd6 was somewhat born of necessity, since otherwise he was losing the c4-pawn, but it also proved inspired, with the white knight on d6 and Black’s undeveloped queenside allowing Hikaru to crash through on the kingside. Iturrizaga resigned on move 29. 31.Nxc5!! The queen on a5 and rook on e8 are attacked, and after 31…Rxe2 32.Nxa4 there’s a new double attack on Black’s e2-rook and c6-knight. Nakamura resigned. It’s worth noting, however, that computers point out the stunning 30…Nd3!! would instead have given Black chances of survival. That of course covers c5, and 31.Rxd3 runs into 31…Qc4!, when our silicon friends start spitting out 0.00. A wild position! We looked at the world’s youngest grandmaster, 12-year-old D Gukesh, in our first report, and since then he’s gone on to have Spanish GM David Anton on the ropes then beat GM Iturrizaga – in both games with the black pieces. Only English grandmasters seem to have the antidote, since as well losing to Mickey Adams, Gukesh has now also lost to David Howell. 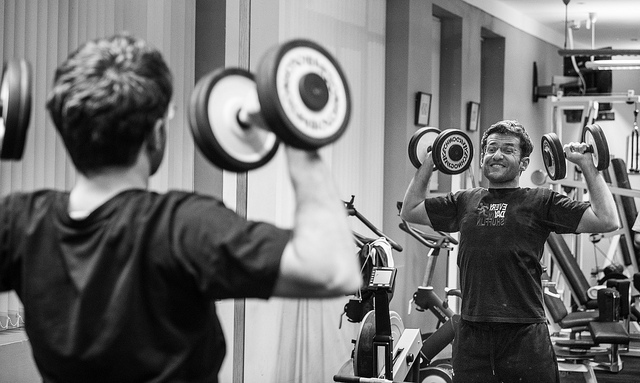 You can take the kid very seriously, however, when he says, “I want to become World Champion”. He tells Tania Sachdev that he only started playing chess at the age of 7, and it’s fair to say his recipe for success won’t work quite so well for most of us mere mortals! The most important quality is to just enjoy chess and be confident all the time and never give up. 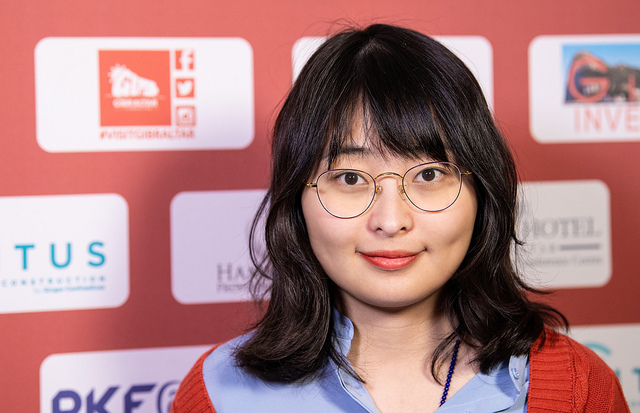 The battle to win the £15,000 women’s top prize has been as fierce as ever, with Women’s World Champion Ju Wenjun and former Women’s World Champion Mariya Muzychuk currently leading on 5.5/8, half a point ahead of Humpy Koneru, Lei Tingjie, Antoaneta Stefanova, Anna Muzychuk, Tan Zhongyi and Pia Cramling, and a point ahead of 10 more female players. 29.c7!! Bxd2 30.Rd1! and Mariya went on to win in 44 moves. She’s also drawn against GMs Aronian, Saric, Eljanov and Adhiban, climbing to no. 4 on the women’s live rating list. The remaining two rounds promise to be thrillers, with defending Champion Levon Aronian and the other star names knowing they need wins to fight for the title. Wednesday's round begins at 15:00 CET, then Thursday's starts 4 hours earlier at 11:00. 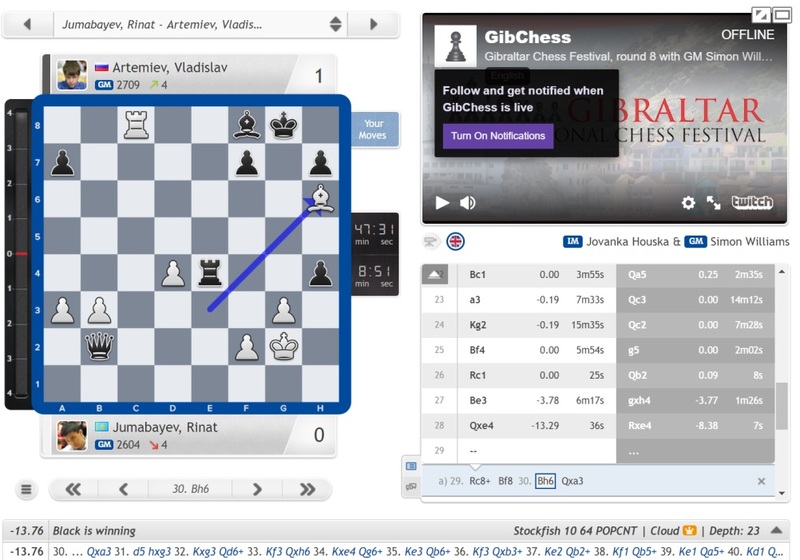 You can watch all the action live here on chess24!